Deer skull. 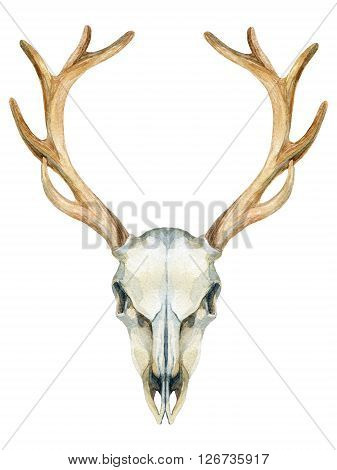 Animal skull isolated on white background. Watercolor hand painted illustration.